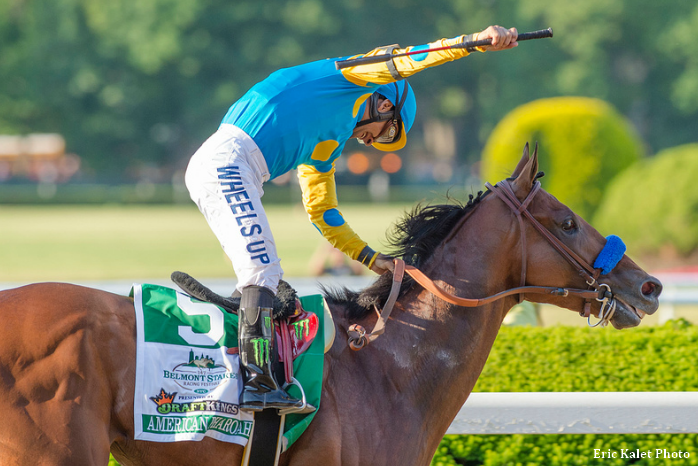 Just three years after American Pharoah became the first Triple Crown winner in 37 years, Justify pulled off the feat which, for a stretch of time, seemed impossible. But how much of the Triple Crown drought (and its subsequent end) may have been due simply to the size of the Thoroughbred population? Writing for Kentucky Forward, longtime turfwriter Liane Crossley points out that foal crops increased in the years between Citation (1948) and Secretariat (1973), but really ballooned in the 1980s and 1990s. Affirmed was one of 28,000 foals born in 1975, and annual crops were as high as 51,000 in 1986, the year Triple Crown hopeful Sunday Silence was born. By the time American Pharoah came along, the economic climate had knocked breeding figures down again, to roughly 23,000. Crossley writes there's a reasonable argument to be made that if several of the more famous Triple Crown tries had happened at a time where they had a narrower population of opponents, there may not have been a nearly four-decade gap between Affirmed and Justify. This entry was posted in Bloodstock, NL Article and tagged affirmed, american pharoah, annual foal crop, foal crops, Justify, Triple Crown by Paulick Report Staff. Bookmark the permalink.